Business Systems and Consultants provides storage solutions for the automotive industry. We support automobile manufacturers, repair and service stations, auto dealerships, tiered suppliers for automotive manufacturers and auto-part sales locations. As in any business, and especially in automotive, having the right part in the correct location makes a big difference. Our automotive team is experienced in all automotive environments and recommends the best shelving, tool cabinets, and storage racks for the need. The automotive industry is challenging and has unique needs for storing small electronic components up to large items like bumpers, windshields, and tires. 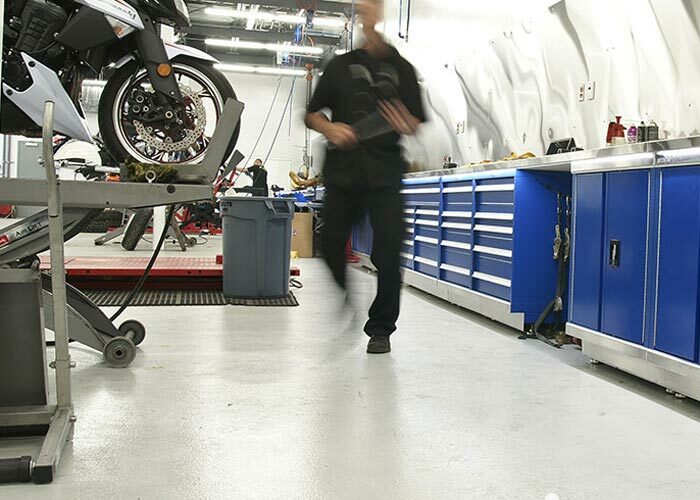 Having professional-grade storage solutions to support highly skilled automotive technicians will allow your operation to deliver maximum efficiency, high levels of customers service, and lasting profit. The automotive industry is dynamic and broad, and there are many different types of businesses that fall into this field, including manufacturers, assembly plants, dealerships, service departments, auto body and detailing stations, parts stores, and more. One thing these businesses all have in common is that they have unique storage requirements because most of them must have a wide selection of parts, tools, and equipment on hand to carry out their daily operations. BSC has been helping all manner of businesses in the automotive industry with their storage needs for decades, and we have customizable products and solutions to suit any requirement. A disorganized business is undoubtedly one that is facing inefficiency problems, and the reason is as simple as this: people cannot operate to the best of their ability if they’re constantly dealing with clutter, if tools and equipment aren’t organized systematically, and if parts aren’t stored where they should be. Imagine, for instance, that you work in automotive service, but the tools you need to complete various tasks are located in different bays, so you have to go to a different station every time you need another tool. This is an incredibly inefficient way to go about business, but the right auto parts storage and shelving solutions can fix these problems, maximize organization, optimize space, and lead to increased productivity. This change can, in turn, improve customer satisfaction (especially in businesses that deal directly with the public), will minimize loss due to inefficiencies, and will drive steady profit. Storing large items, like tires, can lead to both space and safety issues. Stacking tires upwards from the ground can make them difficult to retrieve, a hazard for falling, and can alter the shape of the type making them difficult to fit for a vehicle later on. 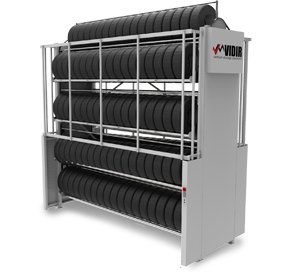 Using a vertical tire carousel, you can drastically improve your floor space. These carousels can be custom fit for your workspace, with standard sizes holding upwards of 350 tires at 7” wide with or without their rims. The storage system can be either semi or fully automated, giving the operator access to their desired item with the press of a button. This design is also optimized to reduce awkward pick-up angles and injuries by delivering tires at an ergonomic height. Outfit your carousel with a keypad for extra security. You’ll wonder how you ever got on without your tire carousel once you see how it fits your space and streamlines workflow. Whether you run a parts department, automotive dealership, assembly plant, or any other type of business in the automotive industry, BSC has years of experience helping companies just like yours to find specialized storage and shelving solutions for all your tools and parts. But more than that, we’ve seen what works and what doesn’t in various automotive environments and can give you reliable advice about selecting the right materials and products for your business. It doesn’t matter if you need storage to increase floor space, shelving and solutions to organize parts and equipment, cabinets and workstations to increase productivity or any other type of storage solution, because we can help you find a customized system that’s ideally suited to your needs. All businesses in the automotive industry face unique challenges and have singular needs when it comes to storage and shelving. 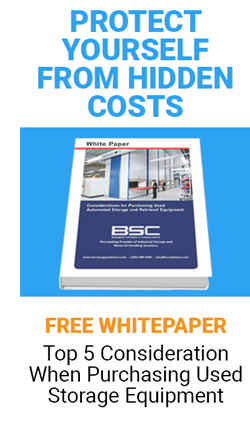 BSC has many years of experience helping companies like yours to find cost-effective and efficient solutions that will help you increase usable area, maximize your space, improve storage and organization, and increase efficiency and productivity. For more information about the shelving and storage solutions available through BSC, contact us today for more information, to get a quote, or to schedule a free assessment.